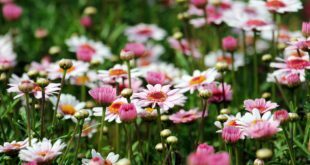 The National Garden Scheme (NGS) is the most significant charitable funder of nursing charities in the country, donating over £50 million so far. 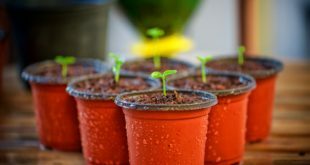 They help garden owners open their beautiful gardens to the public, sharing their passion and raising impressive amounts of money through entry fees, teas and slices of cake. Around 3,700 gardens open each year for the National Garden Scheme. All of these gardens, as well as access information for each, can be found on their website or in the Garden Visitor’s Handbook, published annually. This edge of woodland, architects’ studio garden of approx ¾ acre sits on a sloping sandy site. Designed to support wildlife and bio-diversity, a series of outdoor living spaces, connected with informal paths through lightly managed areas, creates a charming secret world tucked into the surrounding common land. The garden spaces have made a very small house (not open) into a hospitable family home. Architects garden studio open with exhibition boards. Three very different gardens on the same road in the old market town of Midhurst. No 14 owned by a plants woman crammed with many interesting and colourful plants. The garden is on several levels, accessed by steps so is not suitable for wheelchair access. No 38 is owned by the winner of Midhurst in Bloom. The upper level with patio and seating area, has a bed planted with a riot of colour and the lower level, accessed by several steps, has a fish pond stocked with Koi Carp and Goldfish and is fed by a little waterfall. No 49, Garden House, is one-third of the original house. The garden has a formal design but is very informally planted by a real ‘plantaholic’ and is always being developed. A special garden is once again open under the NGS this year. Her Majesty the Queen has once again given permission to open the private royal garden at Frogmore House, Windsor. This landscaped garden set in 30 acres with notable trees, lawns, flowering shrubs and 18th Century lake, is rich in history. It is largely the creation of Queen Charlotte, who in the 1790s introduced over 4,000 trees and shrubs to create a model picturesque landscape. The historic plantings, including tulip trees and redwoods, along with Queen Victoria’s Tea House, remain key features of the garden today. This is a ticketed event, please visit www.ngs.org.uk/event/frogmore-house-garden-2/ to book. The NGS really is the perfect way to discover some splendid private gardens, while also giving money to charity. What are you waiting for?! 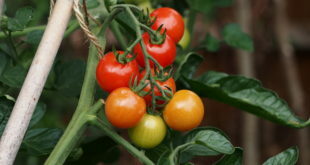 Grow top performing, tasty tomatoes!